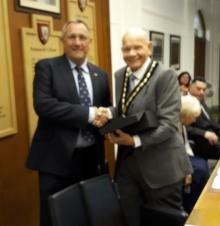 During the Meeting of the Council on Thursday 17th May 2018, Councillor Danny Brookes retired as Mayor. 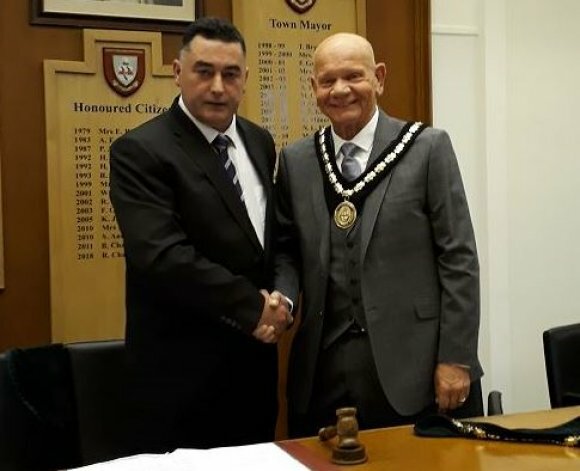 It was voted that Councillor Sid Dennis be elected as Mayor and Councillor Maggie Gray as Deputy Mayor. During the Meeting held on Thursday 17th May, a presentation of the Honoured Citizen Award and Community Award took Place. Mr Ray Chapman MBE was made an Honoured Citizen in his capacity as a long standing and devoted volunteer to Skegness RNLI, providing outstanding service for 46 years. 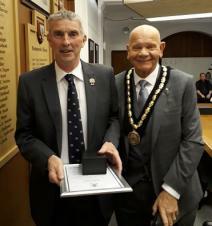 Mr Brian Porter was presented with a Community Award in his capacity as a long service volunteer crew member for Skegness RNLI and his service to the Meteorological Office in recording the weather in Skegness for many years. Friday 18th May 2018 – The Deputy Mayor Councillor Maggie Gray attended the welcome Reception for the East Coast Beach and Water Sports Festival held at the Grosvenor House Hotel. Saturday 19th May 2018 – Attended the meet and greet at the start of the East Coast Beach and Water Sports Festival held on the central beach. Sunday 20th May 2018 – The Mayor and Mayoress attended the Skegness Rotary Club 84th Annual Charter celebrations held at the Royal Hotel. 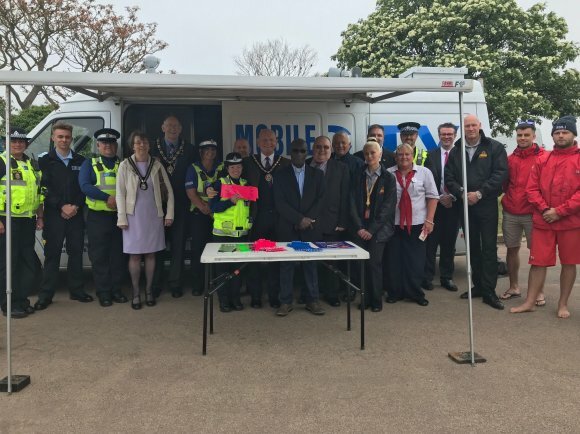 Wednesday 23rd May 2018 – Attended a meet and greet in the Sundial Gardens near the Clock Tower to welcome three Swedish Police Officers who are visiting Skegness with the International Police Association. Thursday 31st May 2018 – Was present at the Launch of the Sandi Starfish wristband scheme that helps with the problem of lost children and vulnerable adults. It took place near to the RNLI station in Skegness.